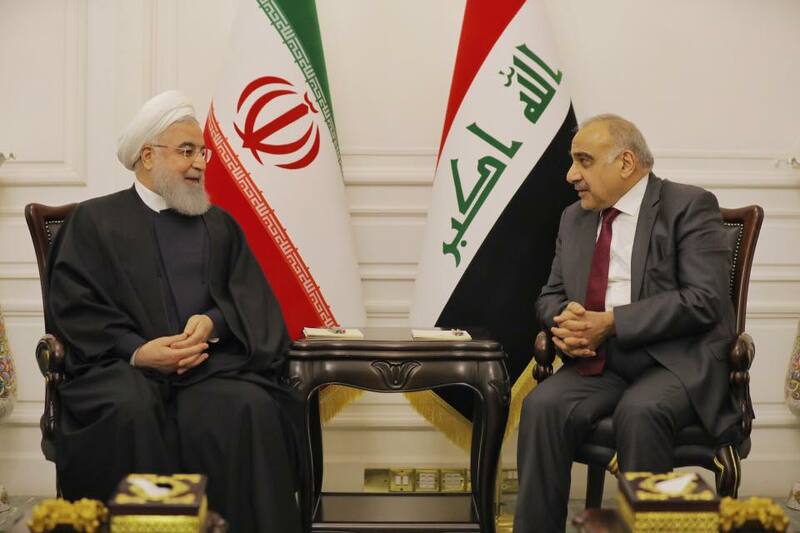 Iraqi Prime Minister Adel Abdel Mahdi is set to visit Iran at the top of a high-ranking delegation, media reports say. The first official visit of Abdel Mahdi to Iran will come on Saturday at an official invitation by Iranian President Hassan Rouhani. During the two-day visit to Iran, the Iraqi prime minister is expected to discuss the issue of trade outside the framework of the US sanctions on Iran and the rapprochement and the convergence of views between Iran and Arab countries, an Iraqi official was quoted as saying by AFP. Iran is the second-largest supplier of imported goods to Iraq. Iran played a key role in Iraq’s victory in fight against ISIS. Back in March, Iranian President Hassan Rouhani made a historic visit to Iraq, which was described by experts as Iran’s response to US President Donald Trump’s snap trip to Iraq in December. Trump slipped into Iraq on Christmas. He spent most of his short visit outlining how he wanted to keep US troops in Iraq to “watch” Iran with which the Arab country shares a 1,400-kilometer-long border. Earlier, Abdel Mahdi said he was planning trips to Saudi Arabia, Turkey and the US. He made his first foreign visit in late March to Egypt. Diplomatic trips between Iran and Iraq have been expanding as of late. This, experts say reveals a strong resolve to expand the existing ties by the two sides. Iran is currently Iraq’s top trade partner, with an annual turnover of about $13 billion. The two sides hope the figure increases to $20 billion. Some 5 million religious tourists generate nearly $5 billion a year as Iraqis and Iranians visit Shiite holy sites in both countries.